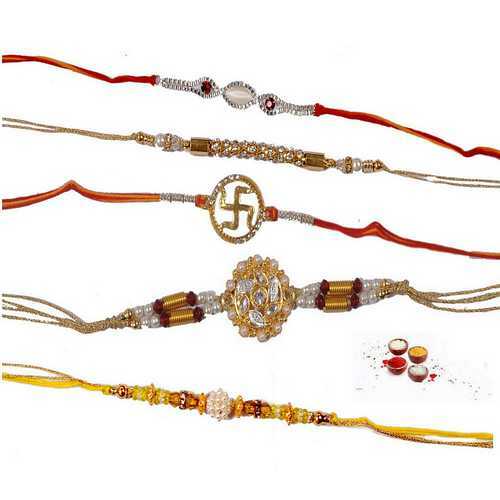 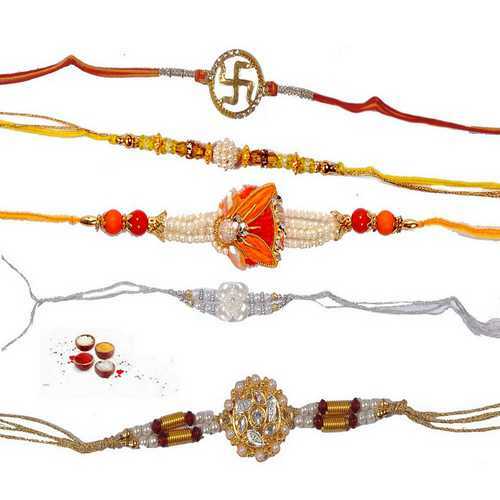 This is a set of 5 jeweled pearls rakhis which are skillfully crafted and ornamented with premium stones, american diamonds, golden beads, golden threads, silver threads, shimmering white pearls and very attractive motifs in beautiful silver, golden, white, yellow and red rakhis threads. 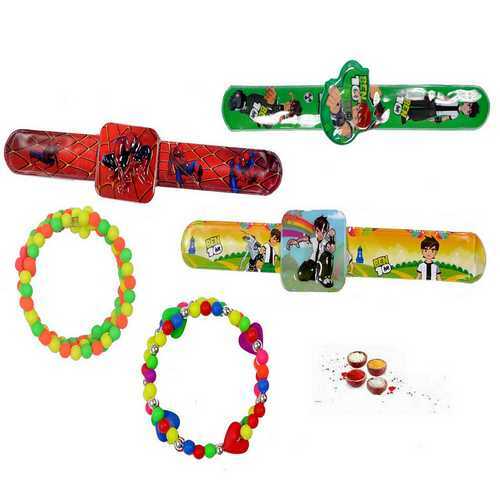 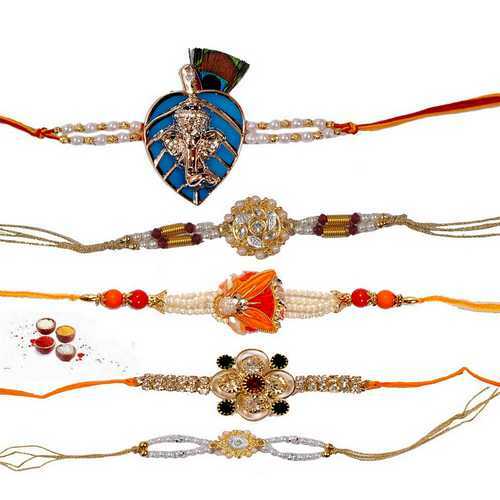 Buy and send these rakhis to your brothers to convey your love and rakhi wishes to them. 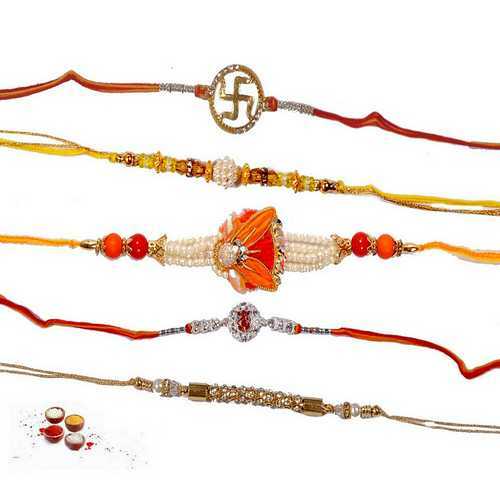 We are offering the set of 5 jeweled and pearls rakhis with complimentary Roli, Chawal, Chandan, and Mishri in very attractive pack.